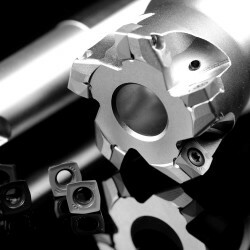 CNC tooling is often only an afterthought in the big picture of CNC machining. This is unfortunate because the machine and cutter will not perform any better than the CNC tooling will allow. Like the weak link in a chain, the entire process can suffer in finish, speed and cutter wear. Injection mold making demands a high level of performance on both tooling and machining. Time spent evaluating the many toolholders on the market is time well-spent. This is not the place to make a rash decision. Careful consideration must be given to the type of machining you are doing, the tool steel, hardness, budget, surface finish, time limitations and machine spindle. Obviously, if you are machining mold bases you need different CNC tooling than if you are cutting cavity blocks using high speed machining. 5 axis cutting is different that standard CNC machining in many cases as well. Hydraulic toolholders work for most applications. The cutter is held in place by the force of a screw to distort an expansion sleeve, which has the benefit of even clamping force along the entire cutter diameter. A side effect of the hydraulic oil is its damping effect, which provided for a better surface finish and longer tool life. These holders are also maintenance free and resistant to dirt, as well as being easy to use and a typical cutter runout is .00012 in. (0.003 mm). Collet toolholders are very popular because, with a collet set, you are able to clamp a wide range of tools at a reasonable cost. Collets come in different degrees of precision-standard or ultra-precise. Many shops begin with the standard set and later upgrade as they need to. Collet sets also come in a wide range of quality, so you cannot expect a poorly finished, cheap set to perform as well as a good set. Cleanliness, proper feeds and speeds will increase the longevity of your collets and help you achieve the finishes and sizes you expect. Which CNC tooling is best for you? There is no easy answer because there are so many variables to consider. Many companies offering industrial supplies will allow you to run test cuts, which is the definitive way to go. Universal toolholders are a cost effective way to achieve high accuracy and good surface finishes. They are available in light duty and medium to heavy duty styles. These are similar to hydraulic toolholders in that they use an expansion technology to tighten the cutter. Instead of hydraulic force, the expansion is done mechanically and, unlike collets, can be tightened against a hard stop without the use of torque wrenches. They also have a very accurate length adjusting screw mechanism for adjusting the length of the cutter. Heat shrinking technology is based on heating up and cooling down the toolholder through the use of induction heating. Once the toolholder is heated and the cutter inserted, it is cooled so that the holder shrinks around the cutter. Shrink fit tool holders are often considered the most accurate method in the CNC shop. This makes the cutter and holder almost as one piece, thus the runout is minimal, less that .00012 (0.003 mm). 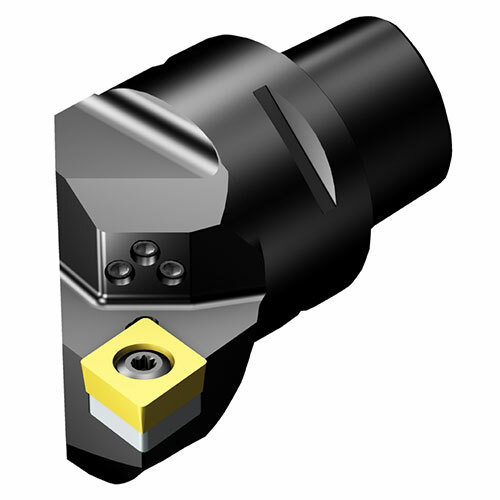 It also enables a slim toolholder design, which is great for small cutter applications. Who hasn’t seen a fantastic display of machining prowess at a tool show, only to find that it doesn’t work at home? A careful consideration of your own unique needs will narrow the choices quickly and cost will narrow it further in most cases. Mist collectors for the CNC machines is a great idea that is not always taken advantage of. There are many good reasons for using mist collection systems: two readily apparent ones are worker safety and protecting your valuable CNC machines and tooling.